Concept: We're excited to bring you this specialty online boutique catering to the modern man! 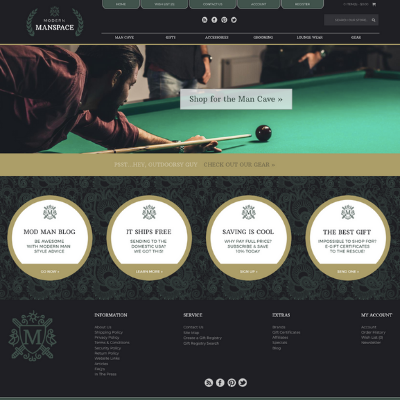 It is a sophisticated design by our outstanding team at Pure-Ecommerce with a catchy, memorable domain name - Welcome to ModernManSpace.com. Here men can shop for the essentials they need to fill their lives, as well as, to create their own modern space. This website offers a stylish product collection for his man cave, gifts to give him, fabulous accessories to help him stand out, grooming essentials to keep him looking great, lounge wear to relax in, as well as, gear for outdoor fun! All the products featured on this website are drop shipped directly from the vendors to your customers. Therefore, you are not required to hold any bulky or expensive inventory. It also gives you more freedom to run your business from the location you choose, as well as, on your own schedule. You just need to be ready to work hard and have the desire to learn in order to get started with this ready-made online business. ModernManSpace.com is a 100% responsive design website, which means it will look great and is easy to navigate from a PC, smartphone or tablet. 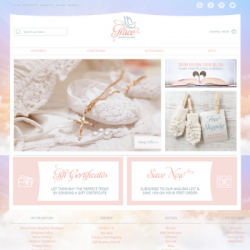 As the owner of this internet business, you will be able to reach customers from anywhere through the connected social media pages, blog, and newsletter that will be connected to the website's home page. You can share insight and tips to help men be awesome with modern man style advice! As the owner of this exciting website opportunity, you will receive You will receive 40 hours of ecommerce consulting to help you learn to set up, run and market this business through our 10 step process. Looking for even more assistance? Check out our Platinum Package Upgrade for even more perks to help you jump-start your new online business! Are you ready to learn more and review our current pricing? Register or Log In to our website portal to find out how we can help you get started. When you're ready we invite you to schedule a FREE phone consult to discuss any questions you may have about starting an online business. Let's work together as you become the owner of this sophisticated online store catering to modern men! By 2024, the global male grooming market is estimated to be worth about 29.14 billion U.S. dollars.